Peripheral artery disease or PAD is a common circulatory condition in which narrowed arteries prevent adequate amounts of oxygen-rich blood from reaching the body’s limbs. The narrowing is typically due to atherosclerosis, or the buildup of fatty plaque in the arteries. Symptoms of PAD may occur in the arms and legs, although it’s typically experienced in the legs. The most common symptom is painful muscle cramps while moving (“intermittent claudication”), which tends to occur in the hips, thighs, or calves. These pains occur when walking, climbing stairs, or exercising because muscles require more blood flow while they are working, and the “cramp” is an indicator of insufficient blood flow to the area. This is why the pain goes away while at rest. Leg pain that does not go away when at rest may indicate a complication of PAD: that tissue damage has already occurred in the leg due to inadequate blood flow and oxygen. Additional PAD symptoms include those indicative of restricted blood flow to the limbs, including wounds that don't heal and legs that are cooler to the touch than the rest of the body (or the other leg). The ankle-brachial index (ABI) aims to identify inadequate blood flow in the legs by comparing blood pressure measurements taken at the ankle with that of the upper arm. Generally, blood pressure at the ankle is slightly less than that taken in the upper arm. However, in patients with PAD, ankle blood pressure may be as much as half that in the arm. If an abnormal blood pressure ratio is present, your doctor may order additional testing, including a duplex ultrasound, which can create images of the inside of blood vessels plus measure blood-flow speed, or angiography (the imaging of the inside of blood vessels with the help of contrast dye) by CT scan or MRI. Treatment is important to ensure against the complications of untreated PAD such as the loss of limbs, stroke, and heart attack. If conservative treatment options fail, an angioplasty with stenting may be recommended. In this procedure, a catheter is inserted into the artery via a small incision in the groin, a balloon is used to open up the blocked artery, and a stent is inserted to hold the artery open. Find out if you’re at risk for peripheral artery disease by taking our online PAD screening quiz. 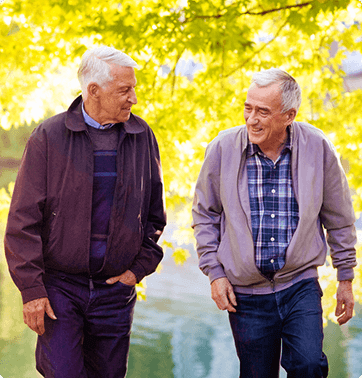 The vascular experts at Premier Vein & Vascular of Tampa and Largo, Florida, can help determine your risk for peripheral artery disease and care for it or its complications. Call us at 1-888-VEINCARE to schedule an appointment or you can request one online.